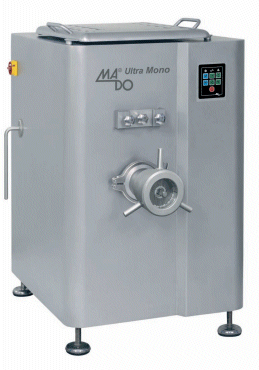 The line ULTRA MONO by MADO provides the user with the opportunity to process all kinds of meat in the highest standards of hygiene. In addition the phenomenal performance of the machine promotes economy since we can produce high quality products in short period of time. The machine can be used to mince various types of meat, either fresh or frozen (pre-cut -5ο C), producing the finest of end products.